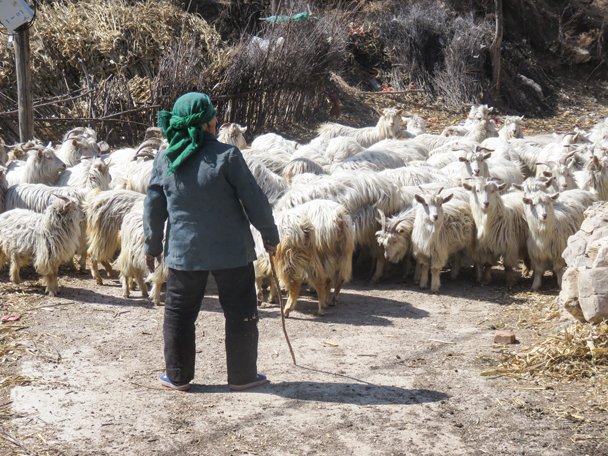 In Brief: Photos from a long hike through the hills to visit tiny Shuitou Village. 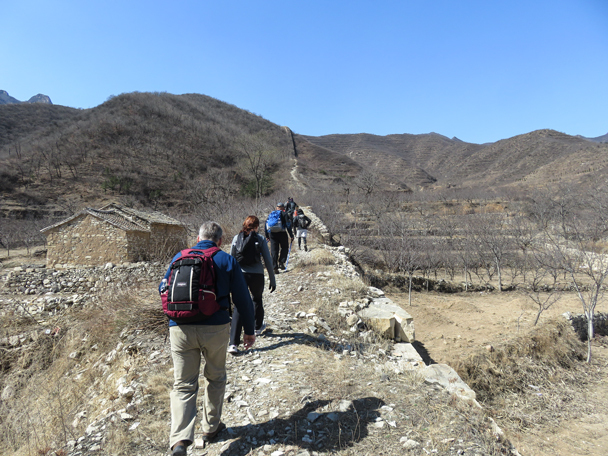 Our Shuitou Village loop hike is a long walk through the hills of Hebei’s Huailai County, just over the border from Beijing. 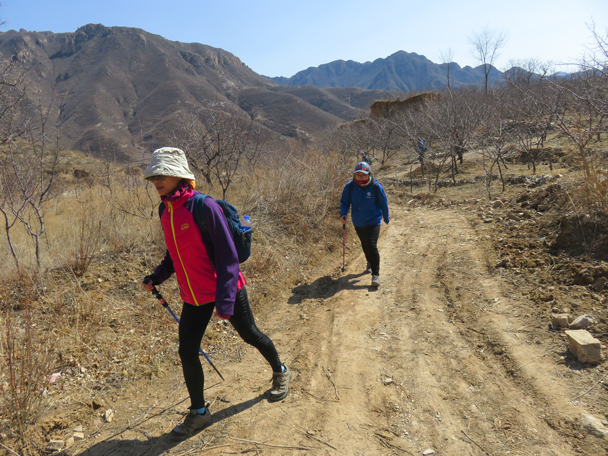 The hike crosses through farmland and rugged hilly terrain on the way to Shuitou, a tiny farming village at the end of a long valley. 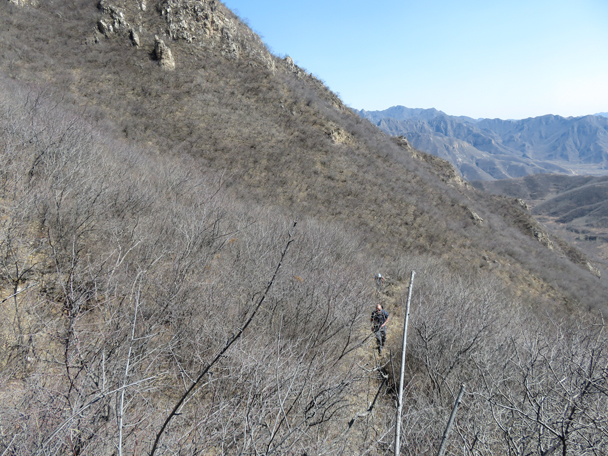 To complete the loop, we made a long climb up a valley and past a short section of the Zhenbiancheng Great Wall, and then walked out down a long and wild valley. 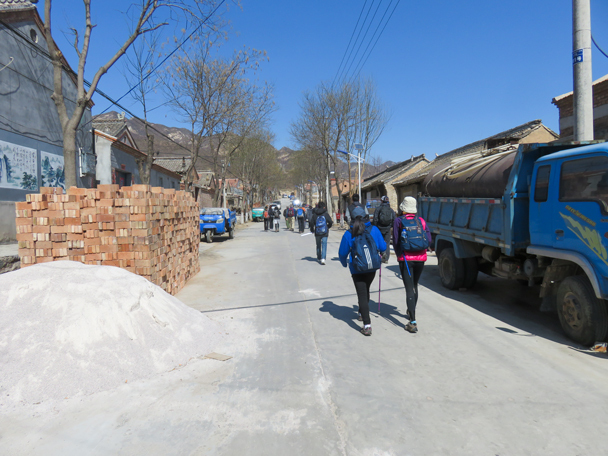 We started off with a walk through old Zhenbiancheng town. 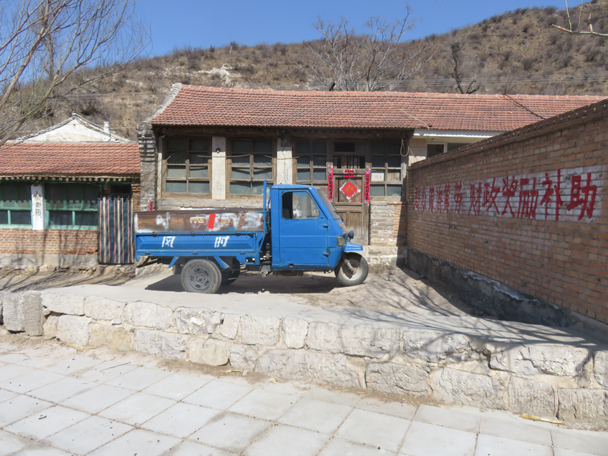 Zhenbiancheng used to be a barracks in the Ming Dynasty. This wall here was part of the fortifications. Further on, we followed dirt trails through farmland. 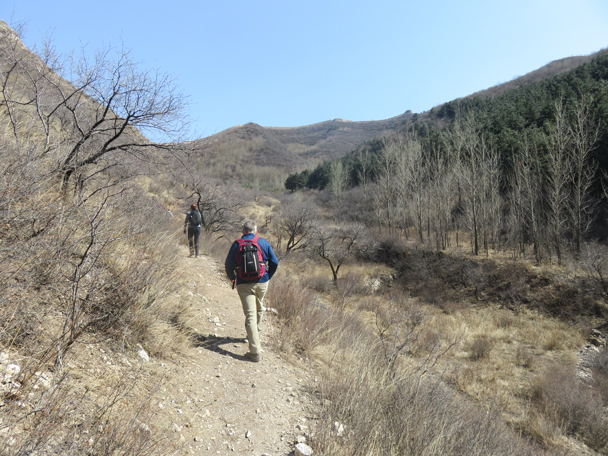 The trail took us by some pine trees. 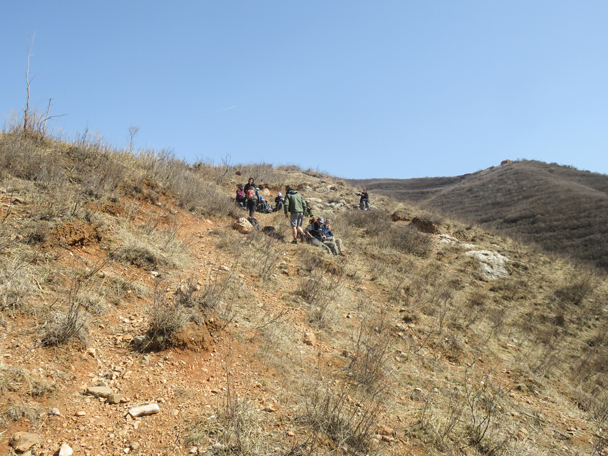 We made a big hill climb, following a zig-zagging hill trail to cross over at a lower point. 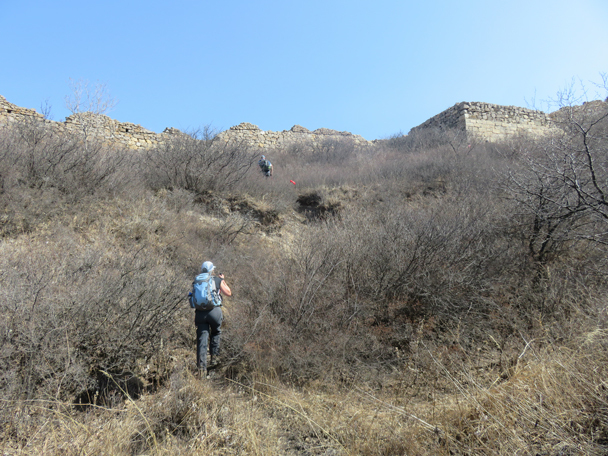 A short stretch of ruined wall blocked this pass in the hills. Looking back down the valley to where we started. 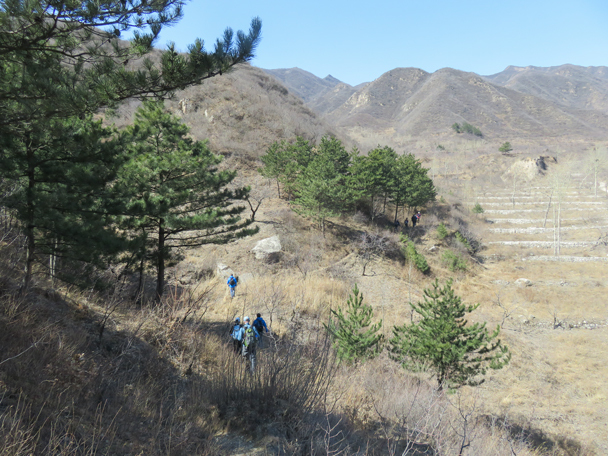 The hike took us down into ‘Potato Valley’ a fairly wild area that used to be farmed. 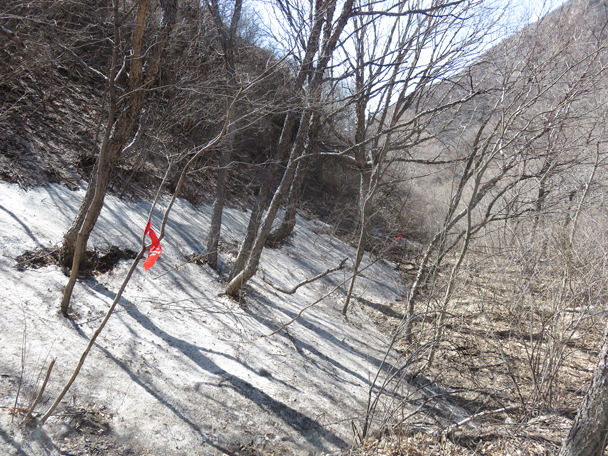 There was quite a bit of snow left in shaded areas. 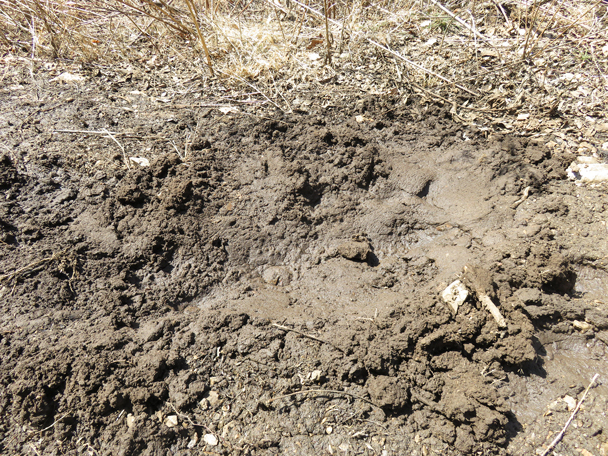 Here’s a patch of mud where a wild boar had been rolling. 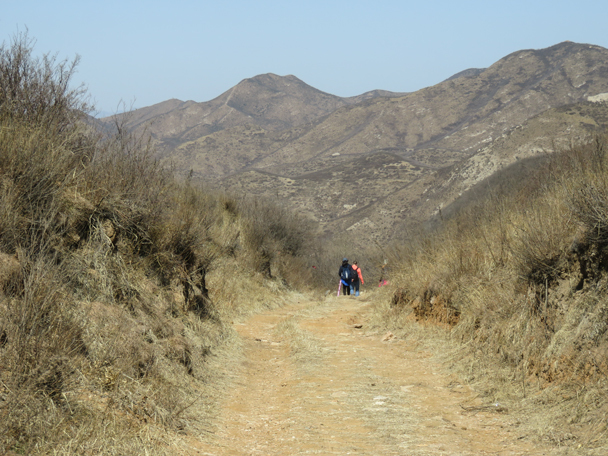 This road would take us down to Shuitou Village. 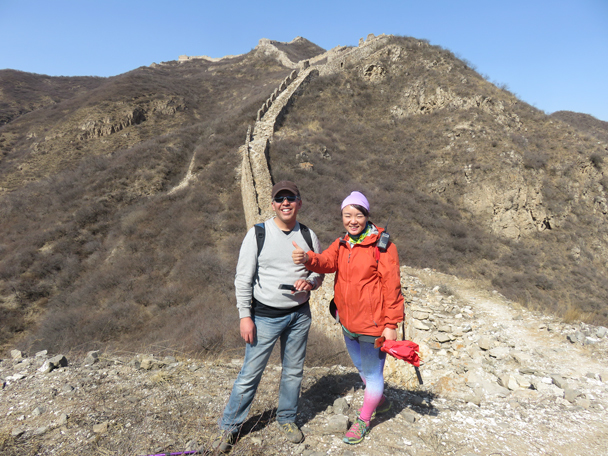 We crossed this line of Great Wall on the way to the village. 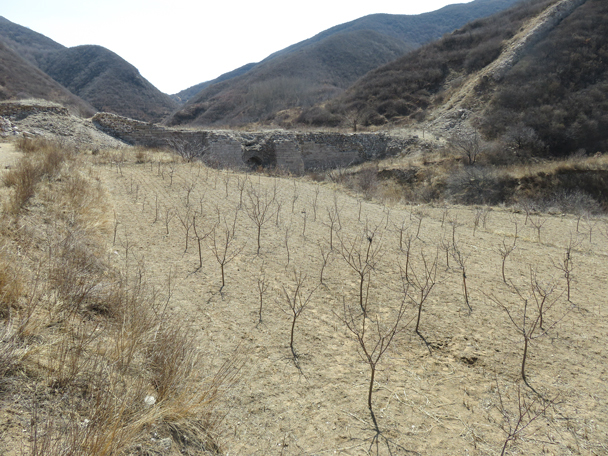 In the middle of the wall is a large arch which would have let a small stream pass through. 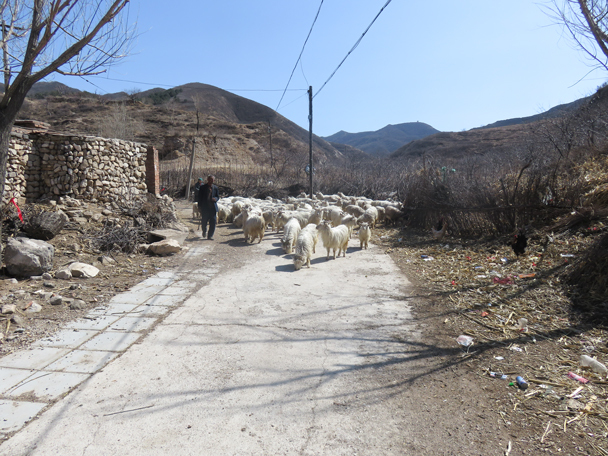 We had to get by these goats. 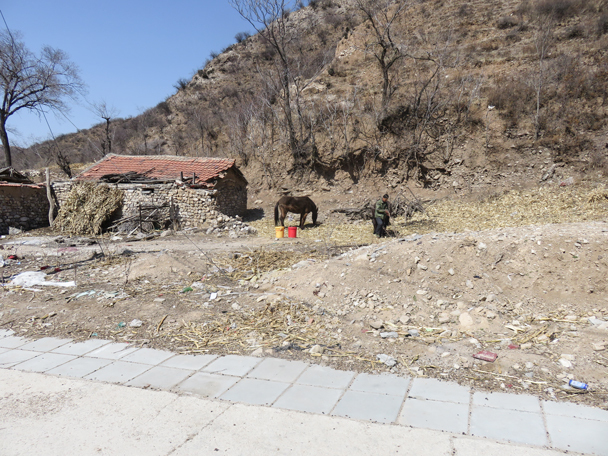 A big donkey and its owner. 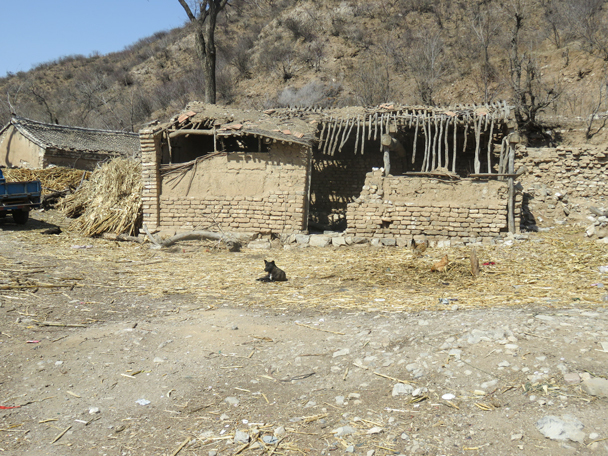 A black dog outside a ruined mud wattle house. 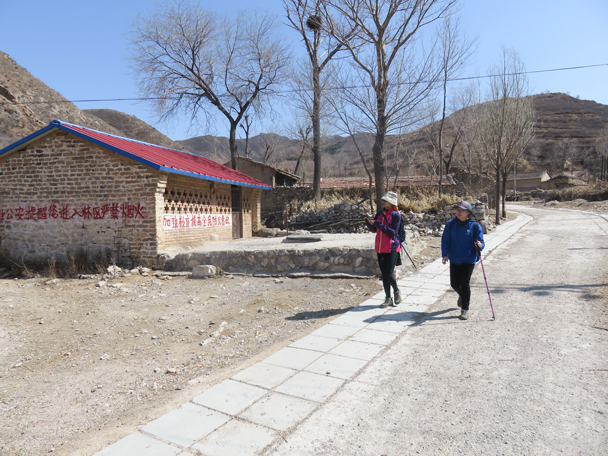 We hiked into the main part of the village. 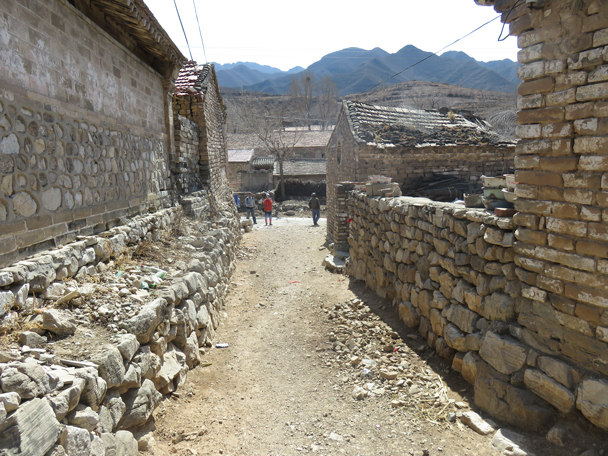 A narrow lane in the village. 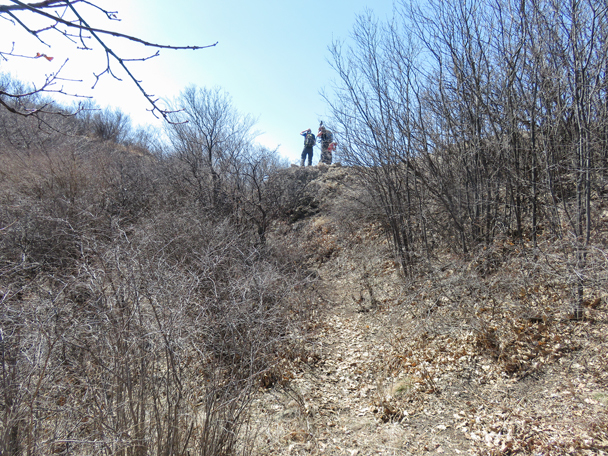 We stopped here for lunch – a sunny spot with a great view. 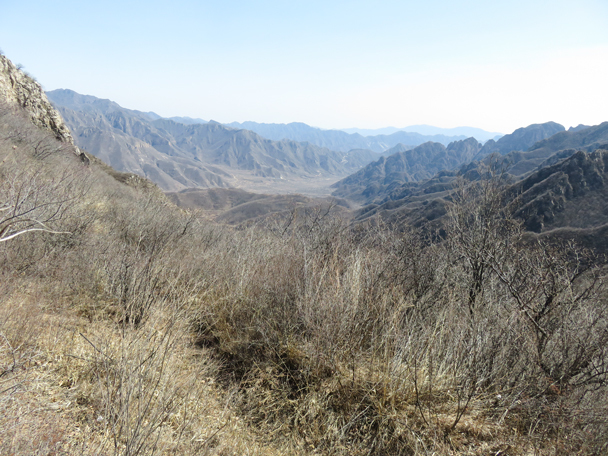 On the ridge in the distance is the Zhenbiancheng Great Wall. Santiago and Yolanda on the wall. 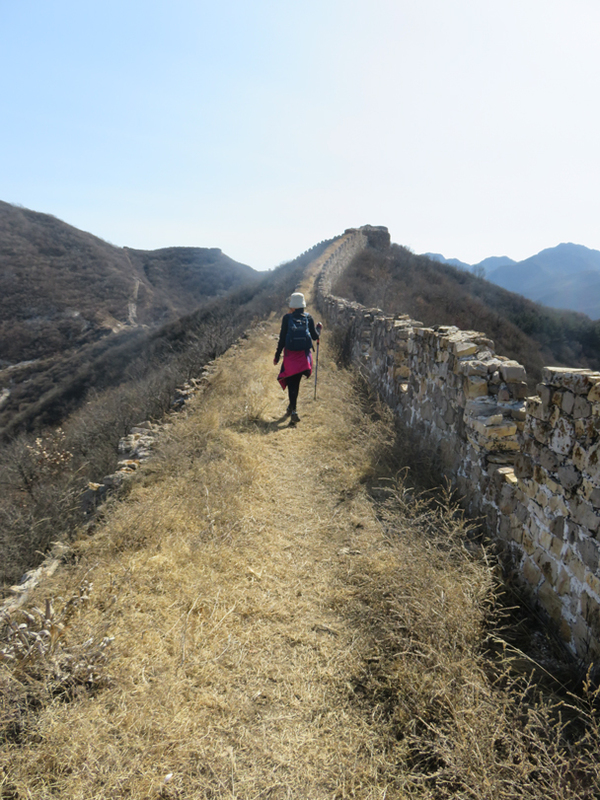 We hiked a little bit further along the wall. 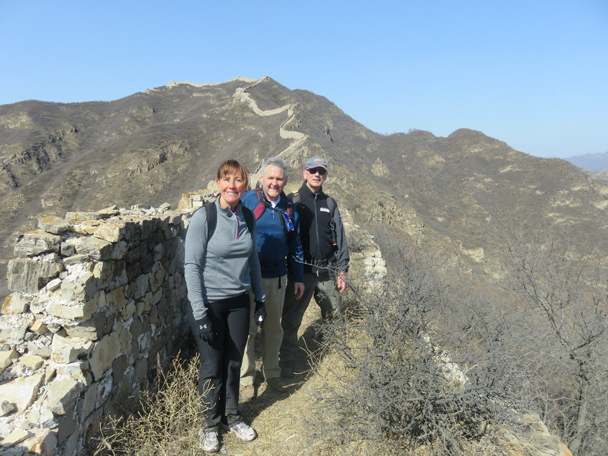 Hikers on the Zhenbiancheng Great Wall. 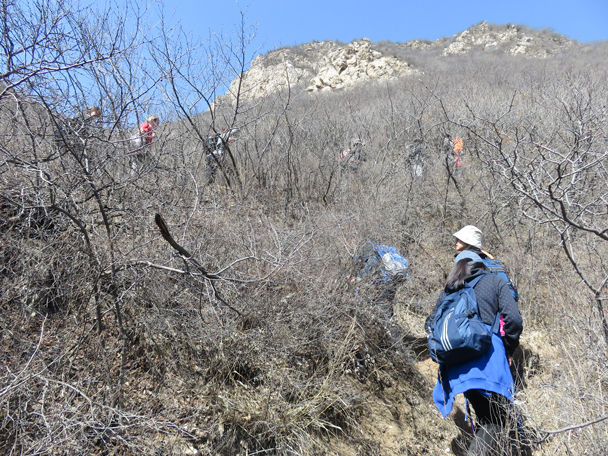 In Brief: A clean and green team headed out to Dragon Cloud Mountain to clean it up.